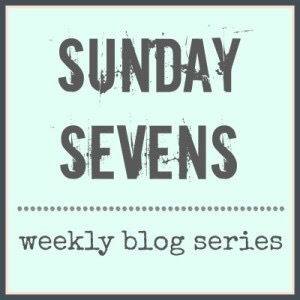 Sunday Sevens is a weekly blogging series designed to share the highlights of your week. Visit Nat for details on how you can take part. I’ve managed to only leave it two weeks between publishing a Sunday Sevens, which is an improvement on last time. 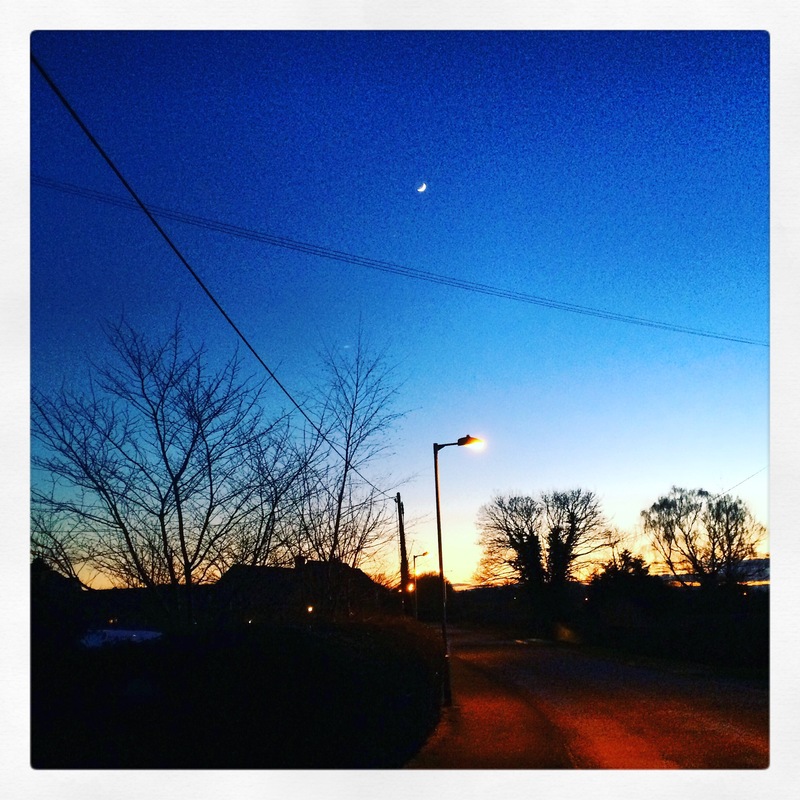 And, as I’ve blogged a couple of different posts in between I don’t feel too guilty. Below are 7 pictures from the last 14 days. 1. 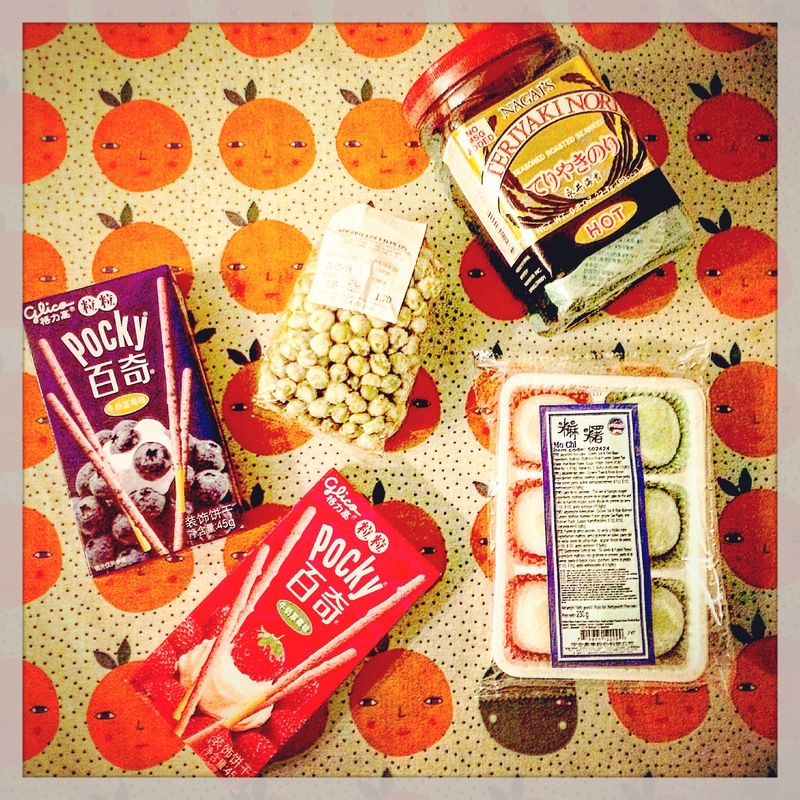 As part of the Japan topic we’re studying at school we did food tasting. I was very impressed that all children tried a little of everything, and surprised to learn that green tea was a firm favourite. The teriyaki flavoured seaweed less so! 2. 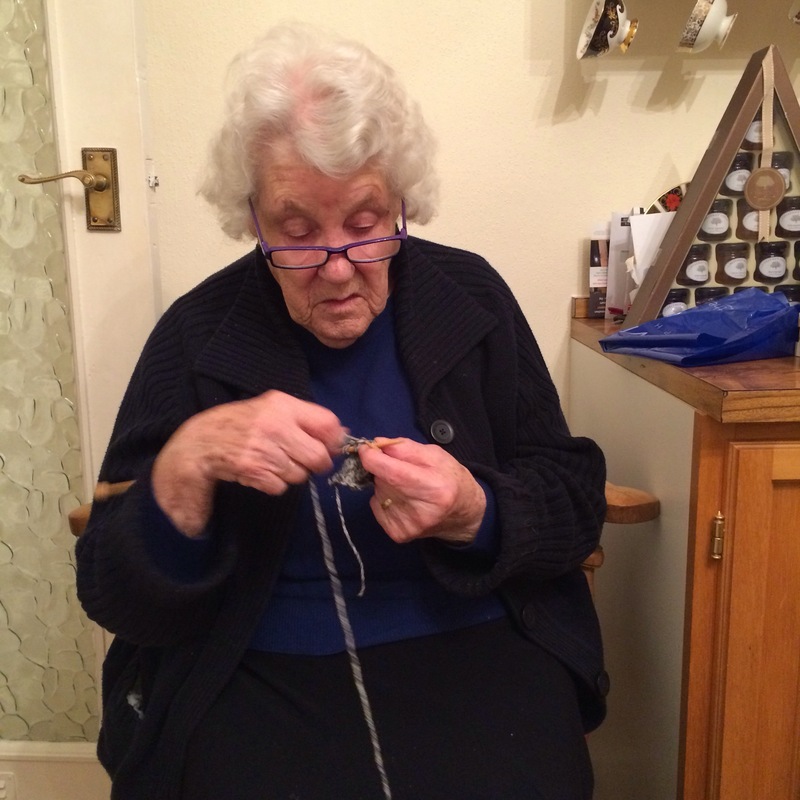 My 92 year old Nan gave me a couple of knitting tips, including to slip your first stitch to create a neater edge. I haven’t done any for over a week but am hoping I’ll get back to practising now it’s half term. 3. I took a trip to the bright lights of Chesterfield with my mum and bought buttons! I’ve hardly bought any, ever, so it’s always tricky when a make calls for them. I’m hoping to build up a bit more of a stock. 4. We went to a baby shower~birthday celebration for 2 people at work to the fabulous Carlton House in Worksop. We’d booked, as there were almost 30 of us and a stunning range of cakes and sweet treats. 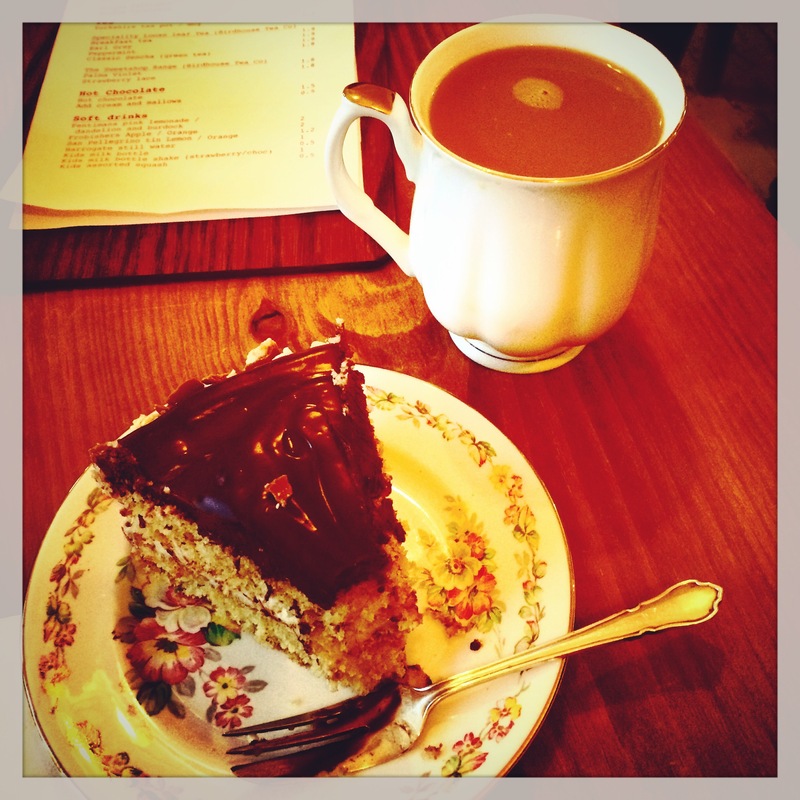 I chose a malted chocolate cake that was just gorgeous. 5. This is the next make I’ve been mulling over for a week. I love the short sleeved views but can’t decide whether to use this vintage style floral or the navy fabric with pink arrows I bought in Dewsbury and just love. I’m fancying a make that’s a bit more technical to get my teeth into next. 6. I love that the days are pulling out and managed to get out with the dogs once or twice before it came completely dark which feels like a huge novelty. There were also a couple of days where I didn’t walk as far as I would have liked, so I’m hoping to get back into it over half term. 7. 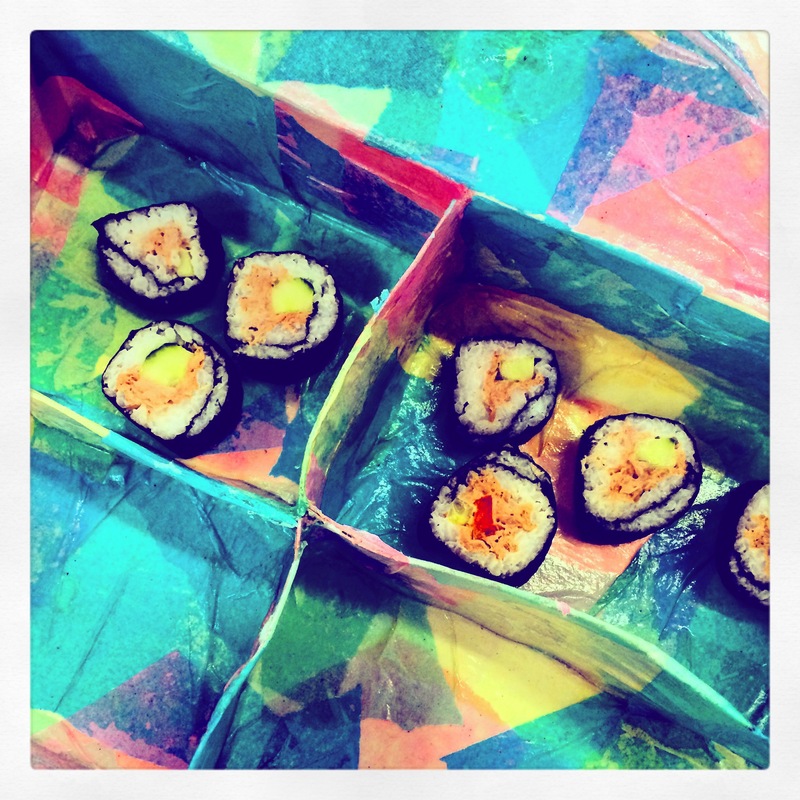 On Wednesday we had a Sushi Showdown blogging event after school, that children and parents could attend to make sushi. They could opt to make a bento box at home to bring to present and transport their sushi. It was busy but went really well, and I was amazed how many children ate their sushi (filled with their choice of tuna mayo, cucumber and peppers). Definitely one to repeat another time. I’m now off school for a week for half term, and spent the first day visiting my friend and her little boy in York which was lovely. Apart from catching up with people and walking the dogs, I’m hoping for lots of chance to sew, so hopefully there will be more photos and blog posts coming very soon. Have a lovely week, and if you haven’t already, don’t forget to head over to this post for a very special discount code you can use to buy some beautiful fabric. Previous Previous post: A Walk in the Woods ~ and a delectable discount code! That cake sounds AMAZING!!!! Just the type I would choose too! Love the buttons ❤ I think the fabric you've picked out for that dress would be perfect – can't wait to see the finished make! Enjoy your midterm break. 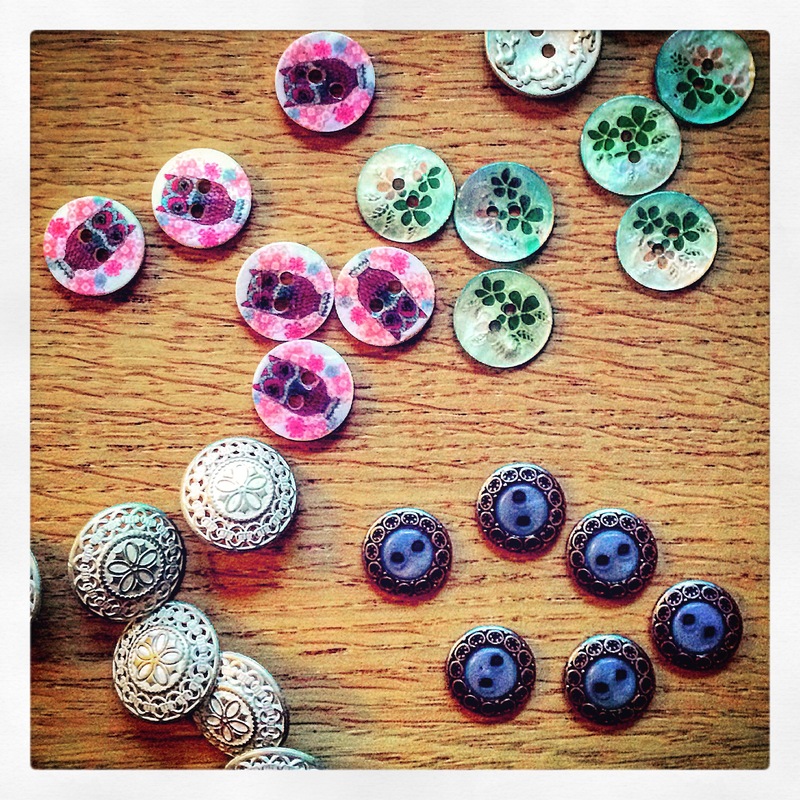 I love your buttons especially the green ones with the little leaves on them! Good luck with your sewing & knitting! Thank you 🙂 I am just contemplating some sewing now – I guess it should really be something to use some of those buttons! Love the japanese themed items. 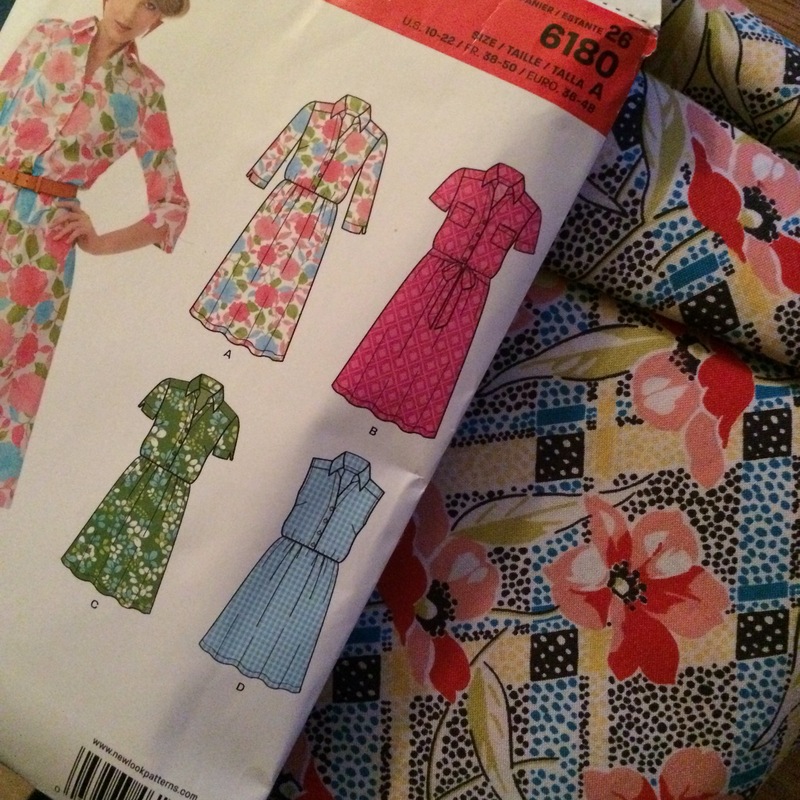 I think the dress would look great in either fabric, but I would go with the vintage floral!